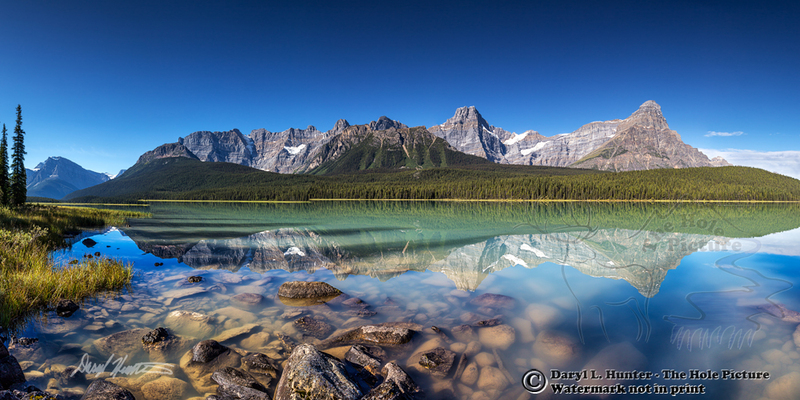 Upper Waterfowl Lake Panorama • A bluebird day reflects the towering Canadian Rockies into the still water of this incredible lake along the Icefields Parkway in Banff National Park. This island escarpement of Canadian limestone is showcased nicely from this vantage point. I shot this once the previous day; however, I didn't achieve what I had hoped and it mandated a return until I got it right.